Stampin’ Up! Birthday Backgrounds Celebration for the Happy Inkin’ Thursday Blog Hop! Happy Thursday, y’all – and welcome to another Happy Inkin’ Thursday Blog Hop!! Today’s a color challenge, and I hope you’ll check out everyone’s projects when you’re done here! Here’s our challenge badge – these are really fun colors together! This one was quick and easy! I started with a Basic Black card base and, across the front, stamped the streamers image from the Birthday Backgrounds stamp set in Versamark Ink. Now – when YOU make this card, do this with Tuxedo Black Memento Ink. It’ll show up better! I cut a square of the Broadway Bound Specialty DSP and adhered it to the card front with Liquid Glue. On a square of Whisper White, I added some Birthday Backgrounds images – the streamers in Lemon Lime Twist and the confetti in Lovely Lipstick. Then I adhered that over the top at a jaunty angle. I cut a banner mat from a piece of Lemon Lime Twist card stock and cut the end with the Banner Triple Punch. I adhered the sentiment to the Lemon Lime Twist banner with a little Liquid Glue, then popped the whole thing on with Stampin’ Dimensionals. A small bow, tied from a length of Lovely Lipstick 1/8″ Grosgrain Ribbon and adhered with a dab of Liquid Glue was next. I used my Dark Lovely Lipstick Stampin’ Blend to color a Pearl Basic Jewel, which I adhered to the sentiment banner to finish off the card front. On the inside, I used stamped-off-once Lemon Lime Twist and Lovely Lipstick ink in the middle of a Whisper White panel. I used Liquid Glue to adhere the panel to a Lovely Lipstick mat and into the Basic Black card base and the card was done! …and the envelope flap got some Broadway Bound Specialty DSP. Et Voila! I love this Birthday Backgrounds set – so many cool images to play with to create all sorts of “paper”! And Calls For A Celebration is really fun and useful – with plenty of sentiments for celebratingNow that you’ve seen my card, take a minute to hop thru all our projects today If you click on the Next Blog button, you’ll go right to Kristi Gray’s page. And you can just click on the names below to go direct to all the blogs! I’d love to have you join the team! We welcome all types of Demonstrators from folks who just want the 20-25% discount for themselves…to peeps who want to run a business… and anywhere in between! There’s no commitment and no penalty if you decide that being a Demonstrator isn’t right for you. Why not give it a try? We have a fun Facebook page where we chat a lot and we do virtual meetings monthly and in-person meetings quarterly. Drop me a note at stamps-n-lingers@comcast.net if you have any questions. 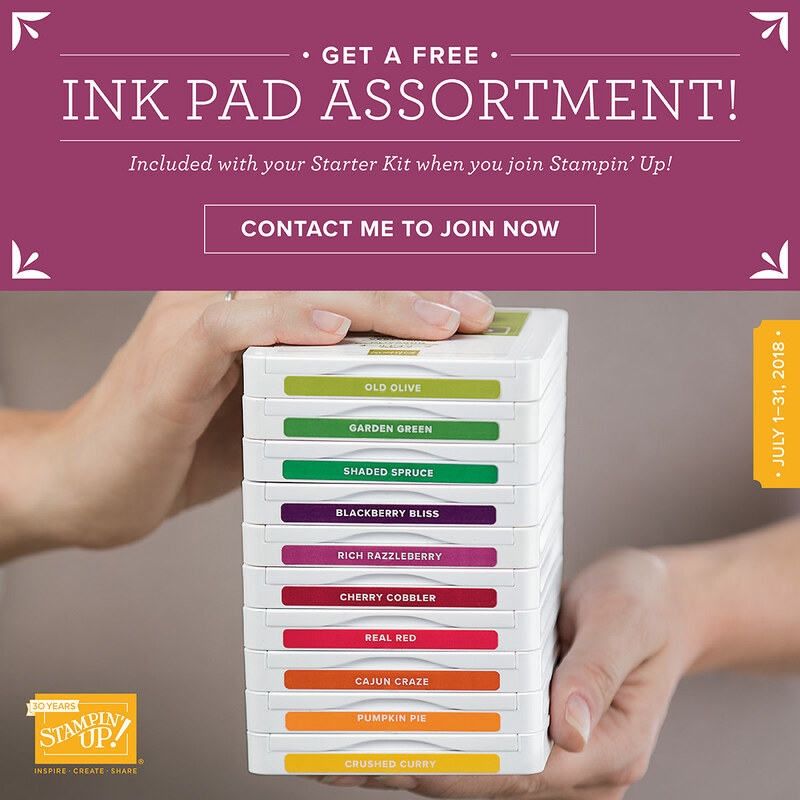 You can also see more information about the benefits of becoming a Stampin’ Up! Demonstrator here. Questions? Give me a holler – I’m happy to help! But if you’re ready to do this – click right HERE to get started! Do You Love Our Designer Series Paper? I love it…every time I think I know everything that’s in the catalog, you come up with a dazzler like this! Off I go to find my wish list. What a great background stamp…how did I ever miss it? Mary… love the patterned paper, sentiment… and the layout! Thanks so much for joining us for the 400th challenge at The Paper Players! Really fun Mary, don’t you just love the way the DSP does most of the work! Love the choice of paper! Quick and easy it might have been but very effective and festive it is! The colour combination is great and your layers of jaunty angles so much fun! The birthday backgrounds are fantastic so you can create DIY DSP! Lovely card, Mary. Thank you for joining in the 400th Challenge Celebrations at The Paper Players. Great card, Mary. Love the streamers – bright, cheery and fun!